Fitness wearables are smart gadgets that can be worn on the body and help track and monitor your fitness better. They help in tracking workout routines, calorie counts, heart rate, sleep patterns, sleep counts, and other aspects of your health that you may want to keep a watch on. Although at one point it felt that Fitness wearables were going out of style, the gadgets have proven critics wrong and are back, bigger and better, than ever before! A lightweight and comfortable smart bracelet from Xiaomi, the Mi Band comes with lots of useful features. It connects with your Smartphone via Bluetooth and also syncs with Google Fit. It has wonderful battery life and can work up to one month without recharging. The band gives accurate readings and is an absolute value for money. The band can be used during any kinds of exercise. While doing aerobics, the heart rate sensor allows you to control the pace, the heart rate, and to handle the state of your movement. During running the band provides you with all information about the distance covered and helps to calculate the calories burned and steps travelled. During biking, the band displays the covered mileage on the screen of your Smartphone. It keeps track records in the form of bars and graphs also. The only problems are that the OEM software is lacking in significant ways and the tracker can pop out of the silicone band sometimes. It has also been reported that the calorie tracker is fairly inaccurate. Carved into a stone leather band, the Pebble Time Round Smartwatch organises your information chronologically and allows you to easily prioritise what is most important to you. Its Timeline OS connects your calendars, alarms, and apps, and organises relevant information through quick actions. It also supports multiple languages. Although its display is LED backlit, the display used little power, and thus the Smartwatch has decent battery life. It can go up to two days of use without recharging. Quick charging for fifteen minutes provides an additional day of use. The Smartwatch has a 2.5D Gorilla Glass face and stainless steel bezel that helps maintain durability. The SmartWatch is compatible with Android devices running Android 4.3 and above as well as iOS devices (iPhone 4s and newer) running iOS 8 and above. Features and capabilities may vary between the device and Smartphone operating system you use. It is shiny, thin, and is your ideal companion when you are out working out. Compatible with most Android run phones, the Samsung Gear S2 Smartwatch has a revolutionary design that assures that all you need is always at your fingertips. The interface is circular and has a unique rotating bezel. The watch makes it very easy to navigate through notifications, apps, and widgets quickly, without covering the display. What is great about this watch is that it gives you the freedom to use your phone without your phone being around you. This feature is known as the NumberSync and is provided by AT&T. The watch has built-in wireless charging enabled and it is very easy to keep your Smartwatch powered up. You can simply power your watch by being around the wireless charging dock. The watch is beautiful and easy to use. It works fast and lets you control most of your phone calls, emails, and messages, most conveniently. It is a great watch for anyone using Android. Arguably the highest profile fitness tracker ever, the Jawbone UP3 is a sensor-laden wearable that created much global hype owing to its waterproof quality. Unlike its predecessor, the UP3 is a one-size fit gadget that looks more like ‘jewellery’ than ‘gadget’. The comfortable and slim durable anodised aluminium framework surrounded by a hypoallergenic TPU rubber strap works well and, despite having to wear the UP3 tight in order to get the most accurate sensor readings, it never really caused any irritation. The wearable has great battery life and can last for a week in spite of all its sophisticated functions. One of the features that stand out is the automatic sleep tracking feature on the device. Jawbone monitors a user’s BPM and successfully tells the difference between REM, light, and deep sleep. It also has smart alarms that wake you up when your sleep is in the right phase and keeps you fresh throughout the day. The slim and stylish Fitbit Flex Wireless Activity Tracker and Sleep Wristband motivate you by offering a total fitness picture. It acts as a pedometer and tracks your steps, distance covered, and calories burned, with LED lights. Like the Jawbone, it has a device monitor that monitors your sleep with Automatic Sleep Detection and wakes you with a silent, vibrating alarm. 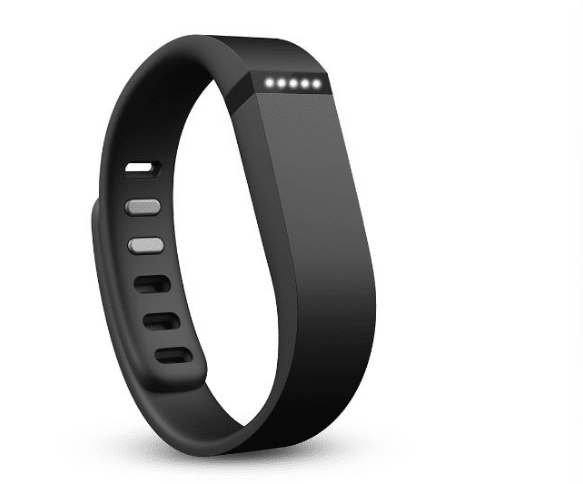 The band is sweat-proof and adjustable, making it a perfect fit. The battery lasts up to 5 days on a full charge. The Wristband sets goals for you, analyses your progress, and awards your badges as encouragement. 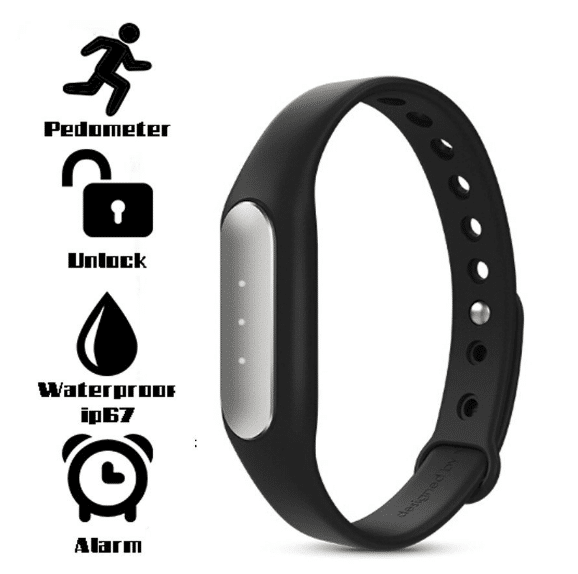 Another trick that your Wristband can do is tracking the length and quality of your sleep plus how many times you woke during the night. It can be strapped to your arm and you don’t have to get a separate armband.